WS 100 63684640 https://www.kaercher.com/my/accessory/ws-100-63684640.html The mobile WS 50 water softening unit prevents lime residue on clean surfaces. A special ion-exchange resin removes the dissolved limescale from the water. 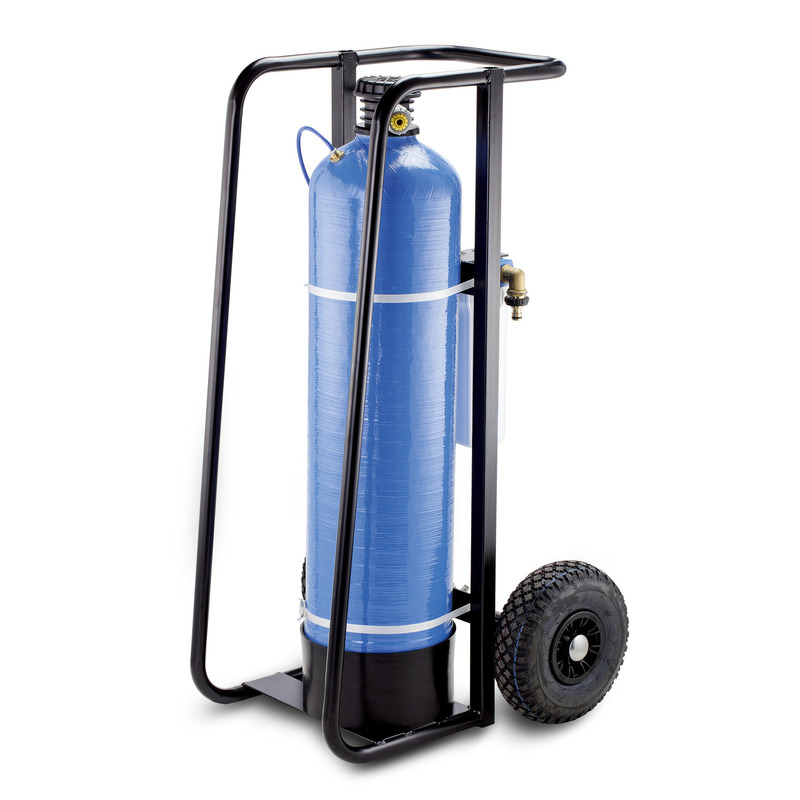 The mobile WS 50 water softening unit prevents lime residue on clean surfaces. A special ion-exchange resin removes the dissolved limescale from the water. The WS 100 mobile water softening unit eliminates annoying residues on clean surfaces. Depending on the region, lime residue remains on clean photovoltaic modules due to limy water. This reduces the yield and should be avoided at all costs. For professional use, Kärcher offers two mobile water softening units that are easy to transport for installation between tap and high-pressure cleaner. An ion-exchange resin removes the dissolved limescale from the water and reduces the degree of hardness to 0–1 °dH. There are no streaks or lime residue after drying. The exchange resin can be replaced at the touch of a button with the optional regeneration system. The WS 50 has a softening capacity of 10,000 l (at 10° dh).